Inside "E-mail" tab press "New..." button. 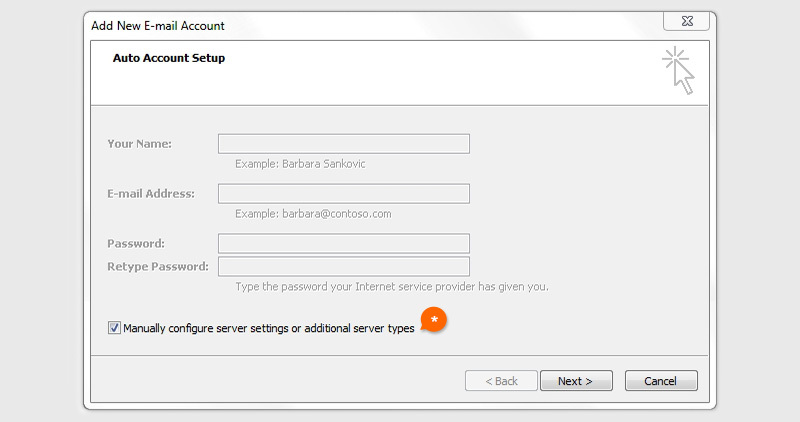 In this window will ask for your name and email, skip that and clic on "Manually configure server settings or additional server types". then press "Next" button. 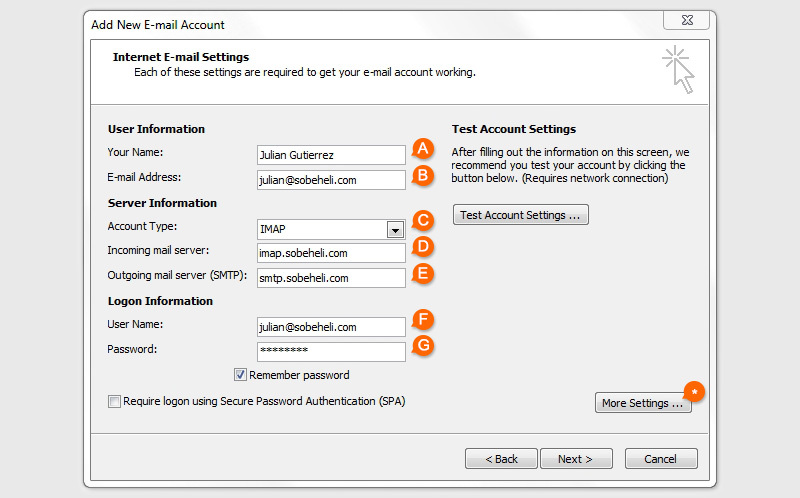 Choose E-mail service, select "Internet E-mail" option and press "Next". Fill the required information for User, Server and Logon information. 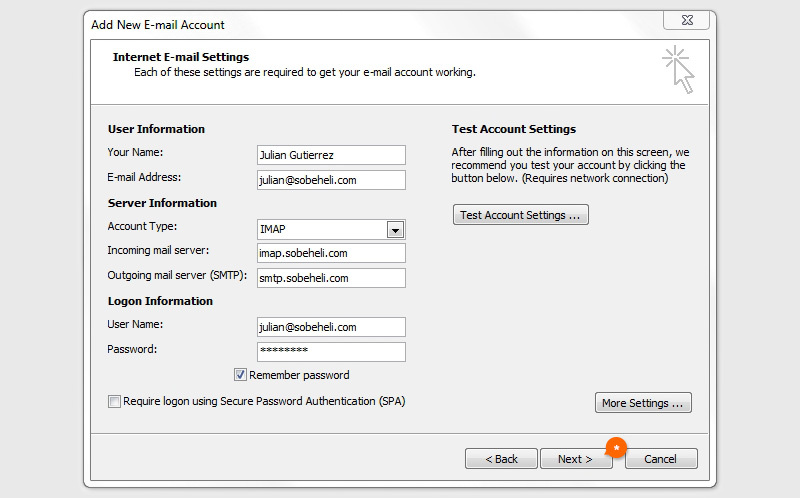 First, go to Outgoing Server tab and activate the option "My outgoing server (SMTP) requires authentication". Now go to Advanced tab and check if your Ports for Incoming server and Outgoing server are alright. If they do, clic on "Ok"
Now you can complete the process. 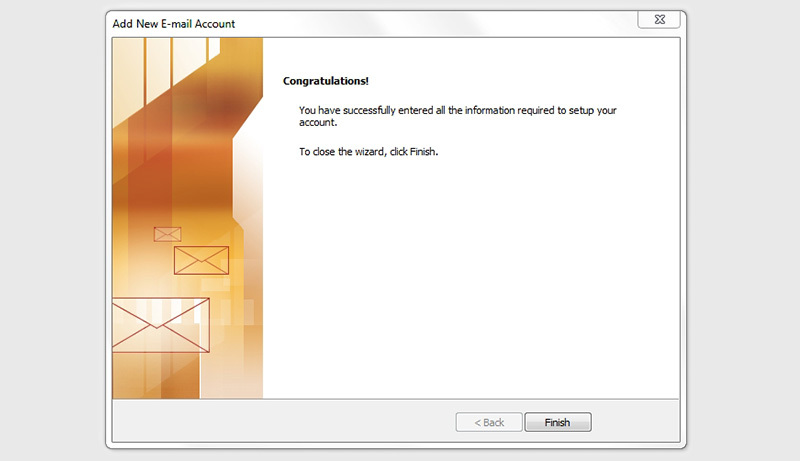 Press "Next" button to finish the email settings. Done! 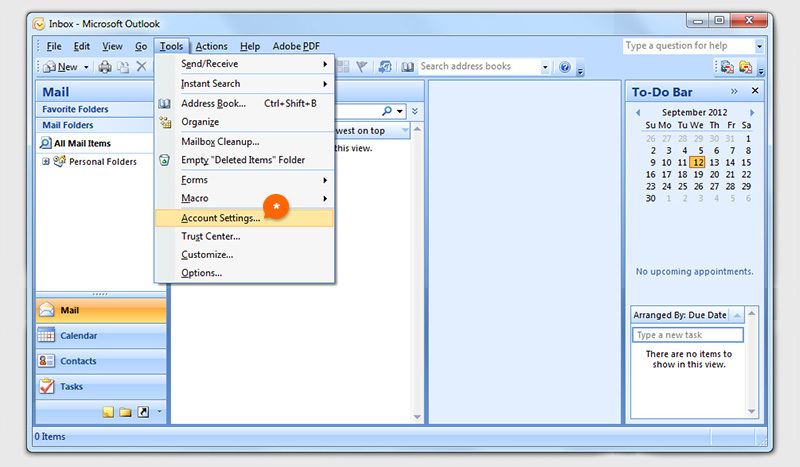 now you can check and send emails from your account in Outlook 2007. COPYRIGHT WARNING: The content in this website including photos, images, text, html, and designs is registered by WG Studios and protected by the US Copyright Office and international copyright laws. You may not copy, reproduce, download, store, post, broadcast, transmit, modify, sell or make available to the public content from this website without the prior written approval of WG Studios. WG Studios vigorously pursues any violation of copyright, site owners are responsible for infringements even if content is provided by an agency or web designer. WG Studios uses copyright automated infringement detection tools to search for unauthorized text and images used on other sites, our partners on content identification and tracking technology are TinEye, PixID, Copyscape and Glat Plagiarism Services Inc.
© 2019 WG Studios Inc. All Rights Reserved.